Ms. Holzer is a registered dietitian, certified diabetes educator and a certified dietitian-nutritionist by New York State. She specializes in diabetes education and counsels patients and families on all aspects of diabetes management. She received her bachelor of science degree in clinical dietetics and human development from Syracuse University. In addition to diabetes education, she also works with patients seeking weight loss counseling and behavior modification as well as patients in the process of getting bariatric surgery. She also sees patients with other medical conditions including PCOS, gastrointestinal disorders and cardiovascular disease. Prior to joining Westmed in October 2008, she spent 10 years at the Westchester Medical Center and Maria Fareri Children’s Hospital, where she counseled patients of all ages. 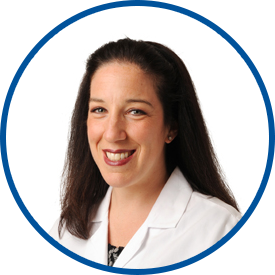 Ms. Holzer is an active member of the Academy of Nutrition and Dietetics, American Association of Diabetes Educators, Diabetes Care and Education Dietetic Practice Group, Greater New York Dietetic Association and the American Diabetes Association.